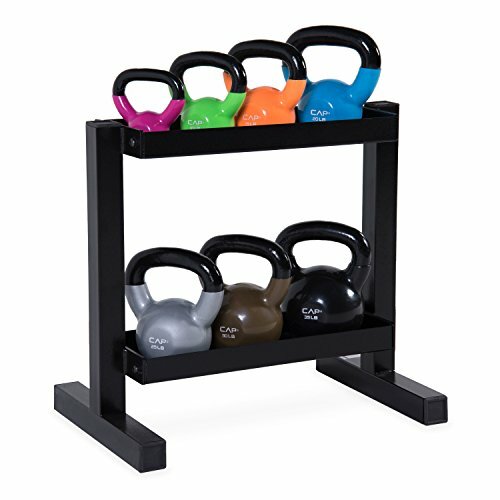 Adding a PVC dip to the cap cast iron Kettlebell allows you to workout on a wider array of surfaces without damage. Your wood or tile floors will thank you. Additionally, the added soft bottom prevents rocking when doing pushups or other exercises. Working out with Kettlebells sculpts and tones the entire body because lifting and controlling a Kettlebell forces the entire body and specifically the core, to contract as a group. Kettle bell workouts engage multiple muscle groups at once, making Kettlebells a Great option for getting a whole body workout in a short time. View More In Strength Training Equipment.